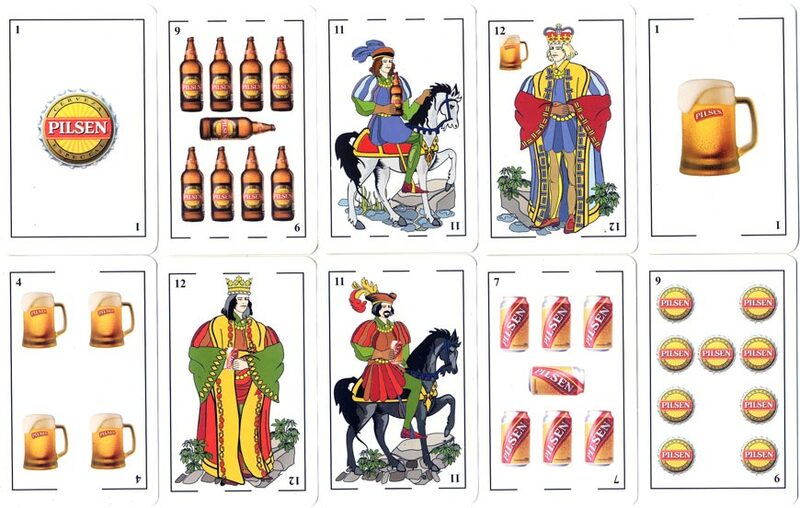 Above: cards from a non-standard breweriana deck for Pilsen Lager Trucofest, anonymous manufacturer, Uruguay, c.2008. 48 cards + 2 jokers in special box. The suit-symbols are bottle caps, bottles, beer glasses and beer cans. The court cards are the same designs in each suit, but flipped horizontally and with different colours.